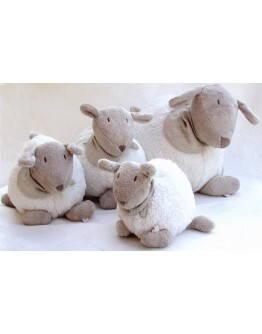 Dimpel cuddle Fidelie the musical sheep, doudou and hugs of the Belgian brand Dimpel. Grote Schatten offers a wide range of soft hugs! 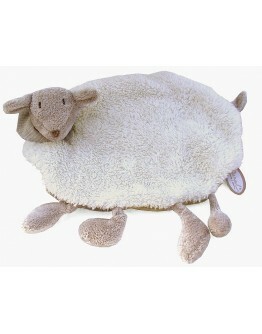 This soft musical Dimpel cuddle Fidelie sheep, has a scarf of 100% Belgian linnen around the neck. 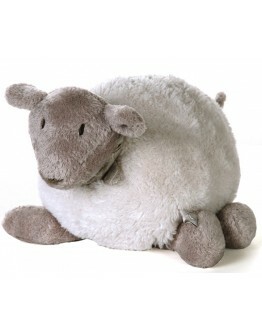 Those musical cuddles of Dimpel are the perfect birthgift for every baby. This soft and nice music will craddle your baby asleep. Pull Fidelie her tail and sleep ... sweet dreams. Machine washable at 30 °, no fabric softener, no tumble dryer.